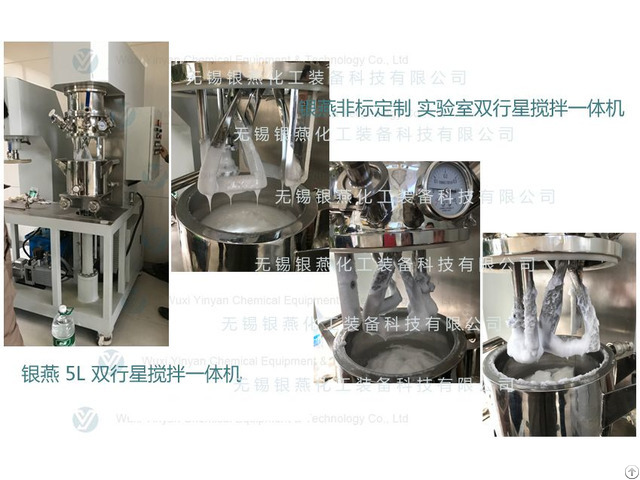 YINYAN 5L medicinal materials planetary mixing machine, lab scale double planetary mixer machine, it is a high efficient mixing equipment designed for universities, research institute and factory lab. 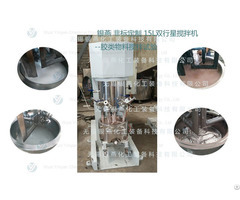 It is quite suitable for the high viscous materials such as adhesive, silicone, lithium battery slurry etc. 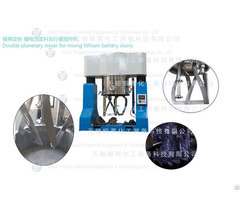 It has scraper to ensure no residue on the wall and bottom of container. 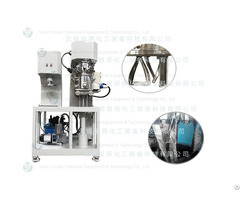 It also can be equipped with extruder and slide rail to realize the integration of mixing and discharging.